In one step – EPITOME Foundation Composite Walls incorporate R16.5 insulation, vapor barrier, top plate and stud framing within a 9’ high, durable basement wall structure. 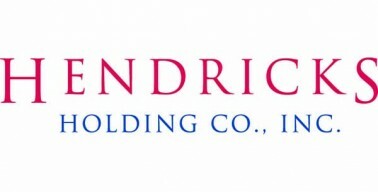 Hendricks Holding Company acquires a minority stake in Composite Panel Systems. This strategic relationship is an opportunity to further assist our innovative management team with the full commercialization of this truly disruptive new building products technology. Minimal training required for consistent, repeatable and efficient installations. Typical install is less than two hours. Designed to withstand six times the pressure of a sand backfill load as well as six times the most extreme house load. 20 tons on 8 sq/ft of Foundation Composite Walls on display in the image to the right. Better energy efficiency with an inherent R-16.5 insulation value. Additional insulation up to R-30 can be accommodated. Surpasses structural requirements and fire codes. Installed walls do not need to be covered with drywall. Composite Panel Systems honored during first CAMX Award Ceremony, share the stage with NASA, Boeing.